Give the Gift of Breadsmith! Breadsmith gift cards are the ideal gift for any occasion. Show your appreciation for a loved one, say thank you, or celebrate the season with an easy-to-give gift card from Breadsmith. 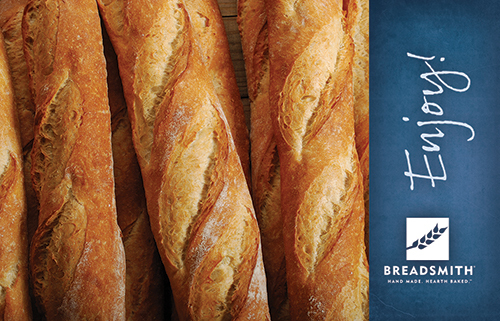 Stop by one of these local participating Breadsmith bakeries to purchase or use your Breadsmith gift card today!